Have you been meaning to give us a call in November but you just didn’t get around to it? Or maybe you decided to buy a tree from a neighborhood lot, but the selection last weekend already looked picked over and the trees remaining looked dried out. That’s when you wished you had given Premium Wreaths by Christmas Farms a call. Don’t worry, you still can. It’s not too late to order a wreath or tree from us and have it delivered right to your home or office. 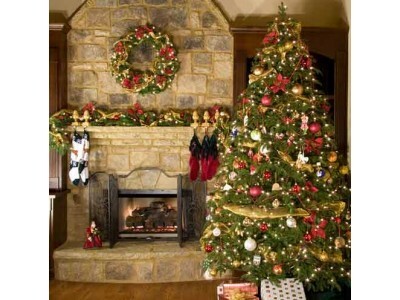 Premium Wreaths by Christmas Farms can send you a tree harvested the same day we ship it via UPS. The same is true for our premium wreaths that we make fresh when you order. From our location in Southwest Michigan, we can deliver a tree within 1-2 business days throughout the Midwest and parts of the Northeast and South. Shipments to the rest of the continental U.S. can take three to four days, and sometimes five, still in time for Christmas. But the rush is on and time is running out. That’s why we make it easy for you to select a tree or wreath online. Select the Products menu above and click on Trees, Wreathes, Swag, Garland, or whatever you feel you need to decorate your home. You can use our tree comparison chart on the main Trees page to learn the traits and characteristics of each type of tree we offer. Click on a specific tree to learn more details. We do the same with our wreaths and swags, giving you a much wider choice than you may be used to seeing at the big box stores. Make your choices, then give us a call (877) 614-7180. In a few days, the fresh, colorful signs of the Christmas season will arrive at your door, and you will be a hero to your family. Oh, and next year, you can call us early, like in September or August, to schedule a date for your tree and wreaths to arrive in December or whenever you want, and look like even more of a hero. We’ve got your trees and your back here at Christmas Farms.